Okay so it’s time to upgrade and the best gaming mouse pads are those with the highest quality and reasonable price. Now I’ve used everything from a cardboard box to an old magazine and nothing beats a good quality mouse pad. With so many out there in all shapes, sizes, and materials, etc., you need a good understanding of what’s best for you and your play style without getting ripped off. If you’re a competitive gamer it’s imperative to have a high-quality mouse surface that complements your style. With low sensitivity, you cover a lot of ground quickly and with high sensitivity, you need that extra control over your mouse. Customizable mouse weights combined with a perfect mouse surface and you can have pinpoint accuracy like some of the top competitive gamers today. Now I don’t want to overstate a mouse pads importance. Let’s be honest here, we’re really looking for something practical that will match the rest of our setups. Notably, the favorable brands of today have taken the time to make our mouse pads aesthetically pleasing while still delivering on quality. So let’s get into what makes for your perfect “cool mouse pad”. I love the minimalist look when it comes to my pc gaming setup. If Apple has one redeeming quality it’s that they’re easy on the eyes. But, with that in mind, a plain black mouse mat isn’t the best choice. They show wear and dirt and dust extremely easily. Keep this in mind when making your choice. There are two different types of gaming mouse mats out today, smooth and quick or textured and precise. Each one of these types offers different play styles for a user. While I may enjoy the control a rough surface offers when sniping, others may be more inclined to a smooth frictionless experience that’s more catered to lower sensitivity settings. The speed surface is smooth and offers less resistance making it much faster to glide your mouse, and with practice, get those flick shots you see people get on Overwatch with McCree. I found this material type is also easier to clean as it collects less dust than a control type mouse pad due to the ridges. On the other hand Control allows the mouse to detect finer movements, due to the rougher surface. If you’re looking for pinpoint accuracy (Think long distance sniping) then control is your best bet. Control is definitely my preferred style due to actually feeling the modest movement of the mouse. 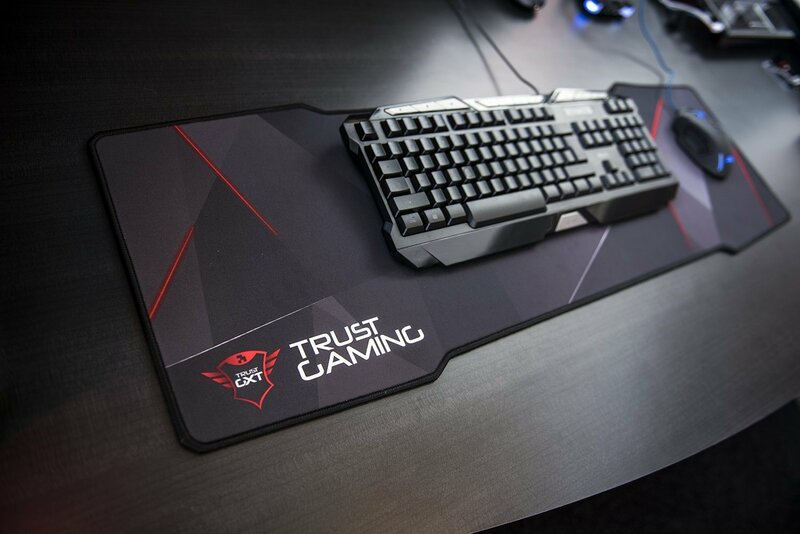 Todays gaming mouse pads come in all forms of sizes from small to covering your entire desk. We’ll focus our attention to small, medium, large and extended for simplicity sake. Your choice on this all comes down to the available space you have and how much you’ll need. 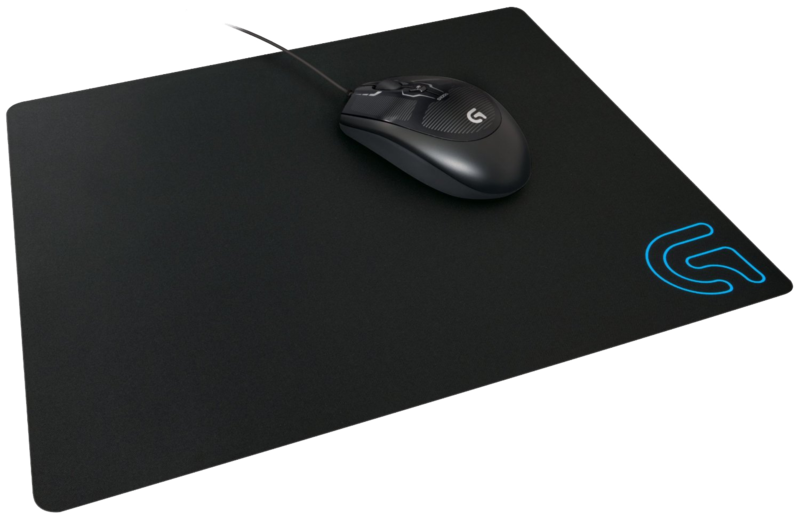 If you’re a low sensitivity gamer you’ll want a large gaming mouse pad to accommodate long strides. In my list I include the extended mouse mat wherever possible as most brands carry small versions of the same type. 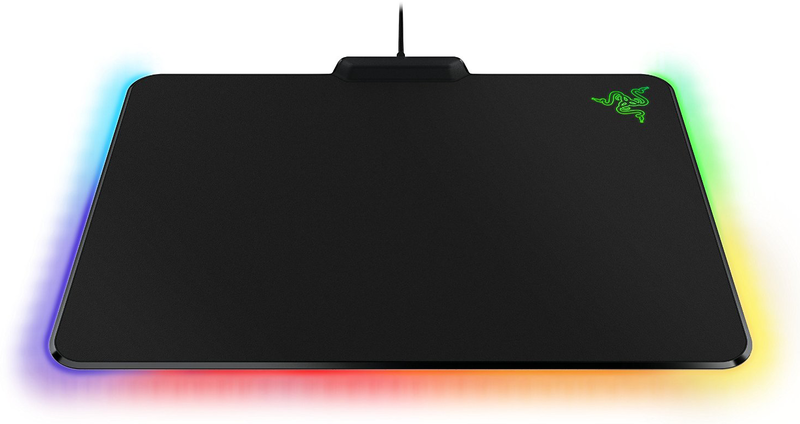 The Razer Firefly was the first commercial RGB mouse pad and is a great showpiece if you plan on going full RGB mode. With an approximate size of 14” x 10” the Firefly fits into the medium size category of gaming mouse mats. Furthermore, the cloth surface is closer to the “speed” material and is actually extremely durable. Pitted with the other Razer products you get great overall effect. It’s a shame the Corsair MM800 wasn’t released before this review as I would have loved to get my hands on it and put the two head to head. The Razer Goliathus has been around for a number of years now but they’ve been continuing to update it. I’ve had mine for 4 years and it continues to be in great condition thanks to the anti-fray stitching. Having graphics on your gaming mouse pad insures it doesn’t look dirty even if it is. 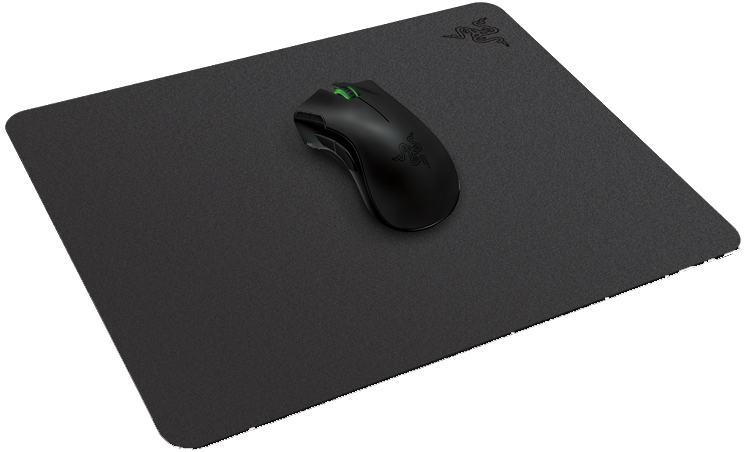 Razer made sure everybody is covered as it comes in all 4 sizes and both control and speed matting. 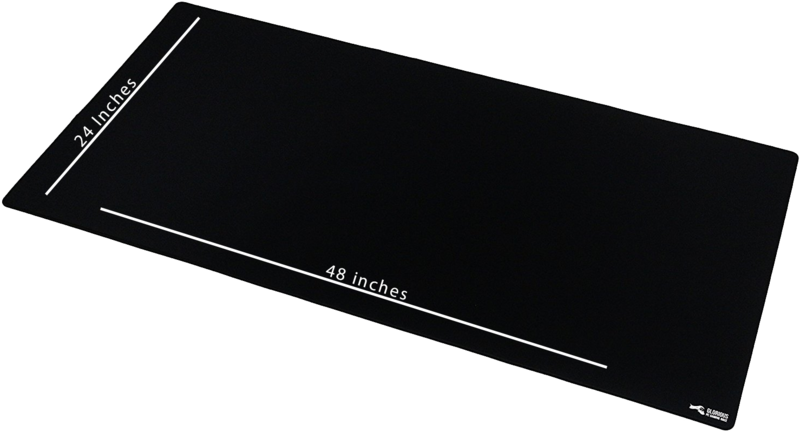 This SteelSeries mouse pad has a hard plastic surface a bit different from your typical cloth. The benefits to this are you get extremely smooth swipes and it’s easy to clean. It has a nice simple design and a decent build quality. The 4H has a length of approximately 11.4” x 9.5”, a little smaller than the firefly but still large enough to get the job done. However, with the plastic surface, it can get uncomfortable after long use if you’re not using a wrist support of some kind. Especially if you prefer using the palm grip style of holding your mouse. Personally I love Corsair. Not that this pad is any different than the Razer Goliathus, but they always improve. I picked up the original MM300 extended a few years back and it was pretty bad. 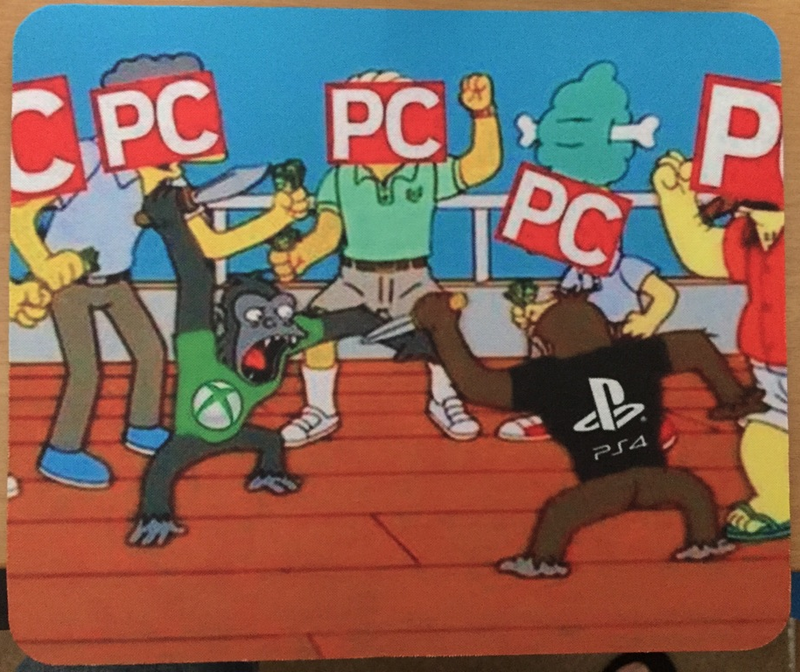 No anti-fray stitching, no graphic aside from their terrible “Corsair Gaming” logo and it came with an awful rubber smell. Well, with the new version, I’m happy to report they changed every complaint I had. The graphic isn’t flashy and has enough busyness to stay looking great after use. also, it doesn’t come with that terrible smell. Moreover they added the anti-fray stitching that I so loved with my original Razer Goliathus. The graphic only comes on the “control” variant but they come in all sizes. The Alumic is an aluminum pad with two sides. One side optimized for speed, the other control. With a surface area of 13″ by 14″ it’s big enough to accommodate low sensitivity users. The alumic comes with a gel wrist rest if you’re into that sort of thing but it does add to the cost. 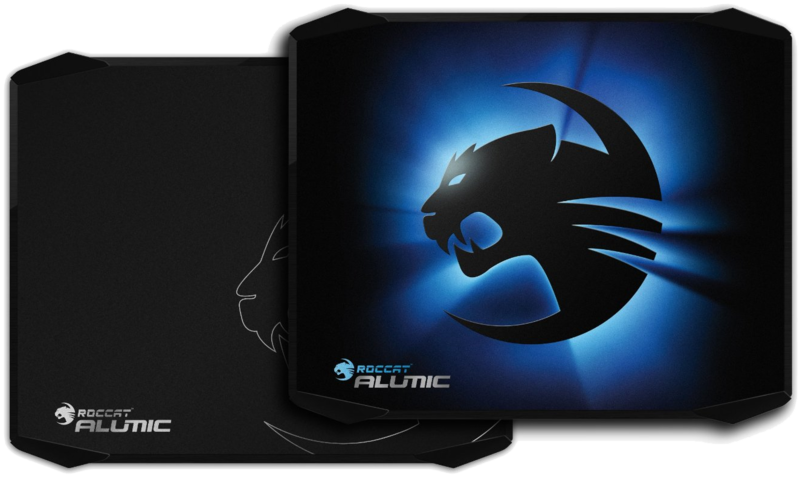 If you can justify shelling out the $40 price tag for a hard mouse pad then, by all means, the ROCCAT ALUMIC is right for you. It’s no secret Logitech make some amazing mice. Therefor it’s only “logical” to pick up the same mat they use when calibrating and testing their mice. She measures about 13.5″ by 11″ and is extremely thin at 1/10th of an inch. I’ve owned one for about a year and it shows no signs of fraying although I would point out it’s not my everyday driver. It has a smooth silky texture great for gliding while still maintaining decent control. If you’re looking for a simple high quality surface at a good price you cannot go wrong here. 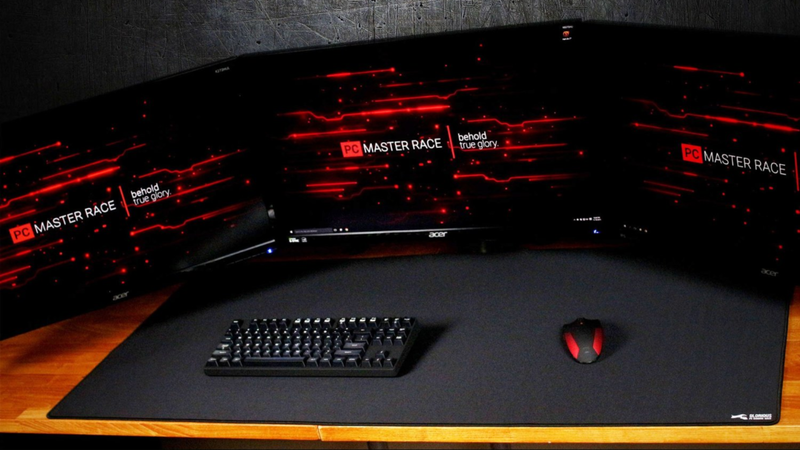 Spawned from The Glorious PC Master Race subreddit comes this magnificant huge gaming mouse pads. It’s big, it’s cheap and it covers all. The only question is, does it fit on your desk? If the answer is yes then I highly suggest picking this one up. Not only does it give you the best range for your mouse, but also protects your entire desk from scratches. The downside of this mat is it will collect dust and end up looking ugly after a while. If you end up spilling a drink on it you can just throw it in the washer though, which is nice! The Destructor 2 is a hard gaming mouse pad designed to be more riged. These types of pads are great if you don’t want to worry about it’s look to degrade over time. I’m happy to say it doesn’t come with any of the normal green accents like most Razer gear, but that’s subjective. The Destructor 2 measures at 14″ by 10″ and was made to fit inside the Razer Blade. A high quality thin hard surface for when you’re on the go. Thumbs up. For under 20 bucks, Trust Gaming brings a contender to the table. Although this may not be the best gaming mouse pad, but, for the price and originality it’s a contender. Sitting around 35.5 inches long, 12 inches wide, it shows up the major big brands. Check out the details over on Amazon. while shopping. If you have any questions or suggestions on what you think we should add feel free to add a comment or contact us. Good hunting.